The best way to learn about the past is to experience it. And unless you have access to a DeLorean and a flux capacitor, a great way to do that is by getting cozy inside the cab of one of Texas’ train cars. So, the next time you’re looking for something a little different (and a little more on-the-go) than a museum, grab some friends and family and check out one of these three historic rides. It’s like a museum on rails! 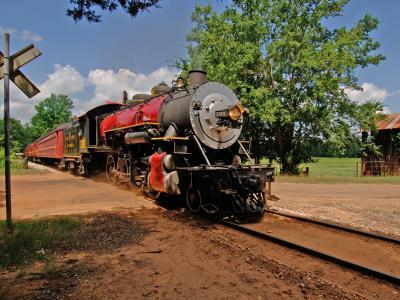 On this 1920’s passenger train, you get to see all that’s great about East Texas as you travel from Rusk to Palestine and back. The refurbished cars provide a smooth, comfortable ride while maintaining a rustic, historic feel. 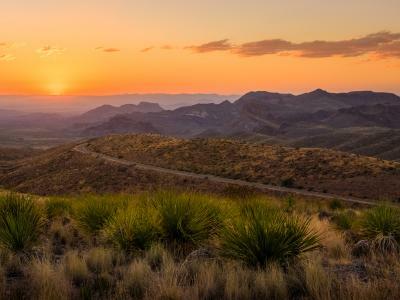 You’ll be transported to old Texas on this 25-mile (round trip) adventure. The whole ride takes about four hours to coast through the piney woods and streams – a trip that will make for timeless, delightful views. As the Texas State Railroad train chugs along, you can sit back and enjoy a drink, relax and almost forget the ways of modern transportation, all while feeling like you’re part of the Roaring &apos;20s. Located in Cedar Park, the Austin Steam Train Association is dedicated to preserving and re-creating the experiences of steam railroading. The good ol’ steam days! The trains run year-round and travel from Cedar Park to Burnet, with plenty of stops in-between. What really sets this station apart is the fact they offer nine different types of train cars to experience, each with its own respective class—everything from traditional Excursion Class to Adults-Only First Class. The best part? These trains are real pieces of history that have been restored down to the finest detail. Some were used in Chicago, New York and even St. Louis’ historic “Nickel Plate” Railroad. Also, look out for the ASTA’s special events like a Day out with Thomas (you bet that’s Thomas the Train) and the North Pole Flyer™, the decked-out holiday train ride that travels every year during the holiday season. Snuggled between Fort Worth and Dallas is a little town called Grapevine. Smack-dab in the city’s historic downtown is where you’ll find the Grapevine Vintage Railroad. This railroad is perfect for the whole family and features authentic, 1920’s-era Victorian train coaches that are hauled by two vintage locomotives: an 1890’s steam locomotive and a 1950’s diesel locomotive. The train travels along the old Cotton Belt Route, which operated from 1891 to 1980 and cut through other states, including Missouri, Kansas, Tennessee and parts of Louisiana. The train is open for 10 months each year and gets inspected every January and February. This railway is also riddled with special events, everything from the North Pole Express and the Jazz Wine Train to the Mother’s Day Train and even the Kiss Me I’m Irish Express. With so many train experiences to check out in Texas, it’s impossible to recommend one over the other. 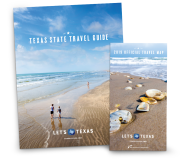 So check out as many as you want and a learn a little bit of state history each time you climb aboard.